The Winter Holidays are the perfect time to take the kids on a mini Campervan tour of the North Island in New Zealand. Bubbling mud pools, Thermal Hot Springs and snowy mountains are on the cards in this exploration of the beautiful New Zealand scenery. Begin the holiday in Auckland, but leave the big city behind as you head for Tauranga and the mount. Spend some time at the cafes and shops down at Main Beach, Mount Maunganui and be sure to take a walk around the Mount or up to the summit to get some beautiful views of the East Coast. From Tauranga, jump on the highway to Rotorua. Rotorua is a tourists playground and if you've been there before, the lovely smells will make you nostalgic for previous holidays. Visit the bubbling mud pools and hissing geysers in Whakarewarewa Geothermal Village and Te Puia's New Zeland Maori Arts and Crafts Institute. Have some fun up the Rotorua Gondola's, complete with thrilling Luges and chairlifts. Newly renovated Rainbow Springs is a must visit with it's Kiwi's, birds, Wildlife and fun "Big Splash" ride! Take a tiki tour around the Lake and surrounding Lakes like Tarawera, Rotoiti and Rotoma. Visit the Agrodome for some Kiwi Farm experiences or take an exhilarating "roll" in the Zorb! The Next Stop is Taupo. Another geothermal town with lots to do. On your arrival into town, if it's a clear day, you'll be able to see Mount Ruapehu peeking out in all her glory, from behind the lake. Play a game of mini golf lakeside (always a favourite with me), try your luck at getting a hole in one on the Lake's Golf hole pontoon, or relax and unwind in De Brett's Thermal Hot Pools. Set up the Campervan Lakeside and share a delicious Kiwi classic - Fish and Chips. 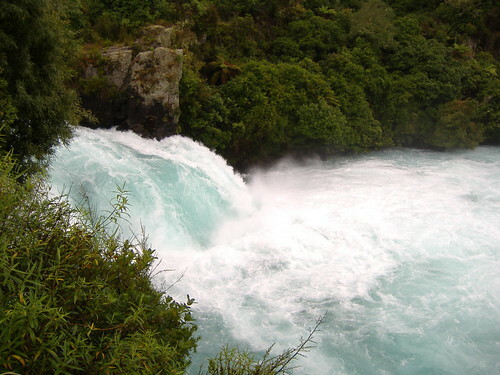 Experience the extravagance of the 'Huka Falls' or the Aratiatia Rapids. The Botanical gardens are a beauty and the 'Craters of the moon' Geothermal sites is a must visit. 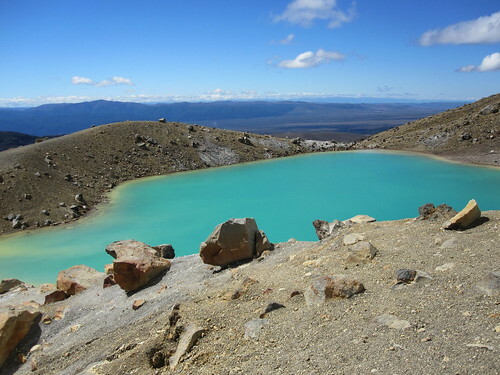 If your family or friends are up for it, do the world Famous Tongariro Alpine crossing. Being amongst the volcanoes and all that comes with them is a life changing experience. You may even feel like you've stepped into 'The Lord of the Rings'. Not coincidentally, the alpine crossing entrance is on the way to the next stop - Ohakune or National Park. 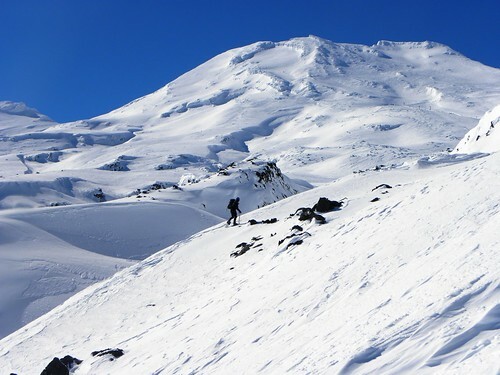 Both offer access to Mount Ruapehu for skiing, snowboarding or just sightseeing the glorious mountain and the spectacular views that come with it. If it's a clear day you may even be able to see Mount Taranaki from the Turoa side. Head back to Auckland from here, perhaps stopping via Rotorua again to break up the journey to Auckland. 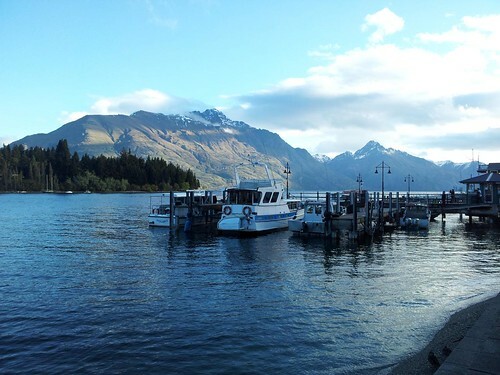 New Zealand is a marvel to travel in and you will have blast with your family or friends. Find a winter special on a Campervan at Campervan Hire Sale Finder and Have Fun!! Take a look at the following videos if you're not already inspired!! Traveling cheaply while in New Zealand.